We, Hackerspace Los Angeles (Hackerspace LA), demonstrate and exhibit technology believing it will spark an individual’s interest to pursue a hobby or learn more about it. All our workshops and classes are free to attend. Most of the technology we exhibit is readily available and free to acquire and or reproduce. Hackerspace LA offers resources and information on where and how that technology can be acquired. We are transitioning from a 600+ online community group to a formal non-profit organization. We are working on converting Hackerspace LA into a brick and mortar entity operating in the San Fernando Valley that will provide FREE access to a community of like-minded individuals, knowledge, tools, software, and working spaces. We are a group of technology enthusiasts building a #Hackerspace and #Makerspace in the San Fernando Valley, Los Angeles, CA. 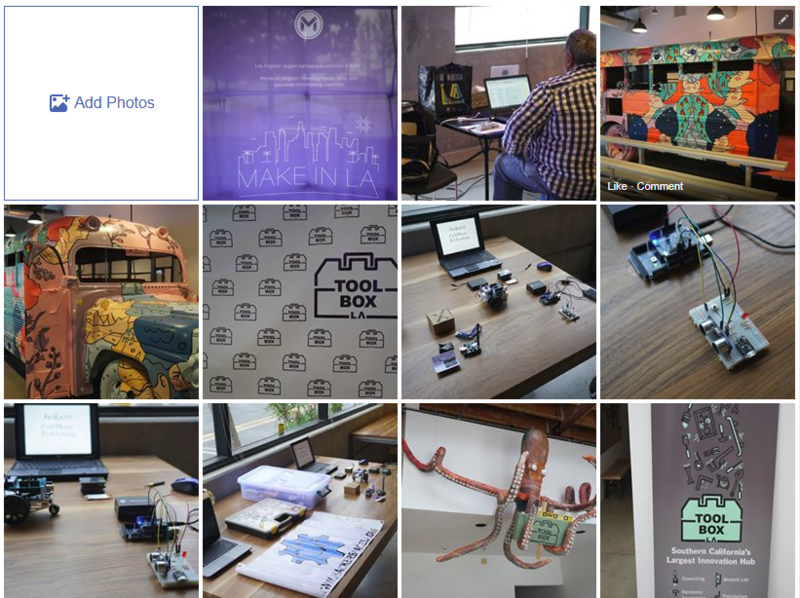 Hackerspace LA is an advocate for the Open Hardware, Open Source, and STEM initiatives. Hackerspace LA is a project that will support the creative process and personal growth of individuals by providing a safe workshop space where individuals can learn and expand their skills, invent, develop, and build new products in a vibrant collaborative environment. We want to build a community of creative and technological apt individuals to help grow Hackerspace LA into a technology hub for the San Fernando Valley by developing close ties with education, business, and city leaders, we foresee Hackerspace LA becoming the premier exponent of science, technology, engineering, and math (STEM) in the San Fernando Valley. Interested individuals to join our board of directors. Building/space with 24/7 access. A space that will allow for us to hold meetups, classes, store tools and equipment, and able to support high speed internet access. Help in creating partnerships with community and local business leaders. Inclusion in city wide activities that will be mutually beneficial. Access to event spaces and venues for own special events. Pass the word around and when possible will appreciate introductions to any State Officials, City Officials, Community Officials, Local Trade Groups, Local Charter Schools, Local STEAM Groups that you may know. Hold classes (see events list below) on current technologies free of charge to community. Sponsor in-house Hackathon and FIRST teams. Build a 3D printer and other open source hardware machines for and with local schools. Host Hackathons and other STEAM related competitions. Experimentation with various technologies and ideas. Removing vandalizing graffiti from city utility boxes and replacing it with creative street art. RC robots, Arduino/Ardublocks, Scratch, LEGO robot projects for the community. Workshop for Teachers interested in creating a makerspace at their school. Arduino Day Conference 2020 and beyond. Scratch Day Conference 2020 and beyond.